You can get it on Etsy here. I'll announce the winner this Saturday. Be sure to visit all the guests listed here. 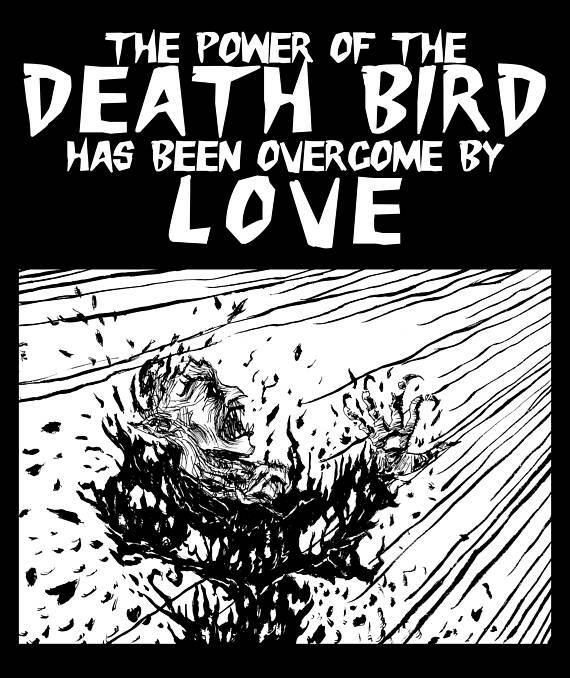 A Happy Vampire's Day to you, Holly! And thank you for hosting this event again this year. I always look forward to it. 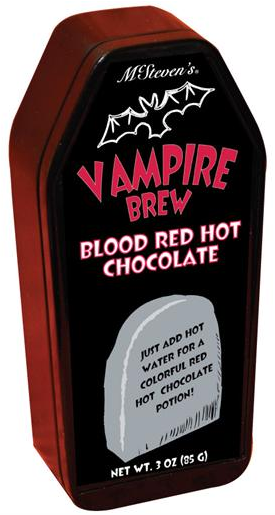 I really like the idea of that Vampire Brew Blood Red Chocolate. It's a must for every vampire. Just for fun, I'm going to guess 30 candy heart pills. 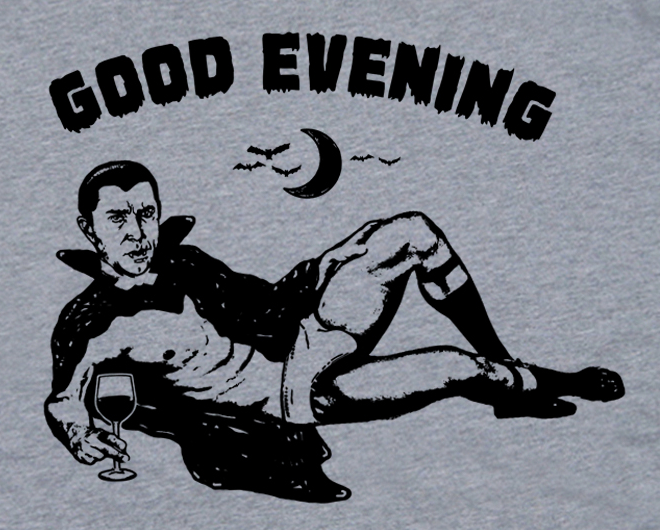 If someone could wear a cape while in his undies, it had to be Dracula. He can make anything look good (even while screaming). Love the idea of Blood Red Hot Chocolate. Now I'm craving hot cocoa, too! Hey Big J! lol. That cracks me up. Just wanted to say that if you are trying to post hearts, hold the Alt key and press 3 on your keypad (if your laptop has that keypad) Like this ♥. It won't work with the number rows above the letters for some dorky reason hahaha. I'm up for the blood red hot chocolate! Happy Vampire's Day ^❤️^ Creeptastically happy to join your soiree for the first time! Thanks for visiting my blog! Ha ha. Hee hee. Love that Dracula in his tighty whities. Hope you had a lovely night.I like that blood red cocoa! 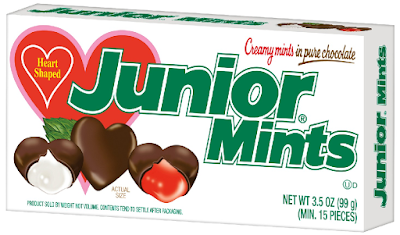 I wish I'd seen those junior mints..where did you find them? Thank you! I hope you had a lovely night too. 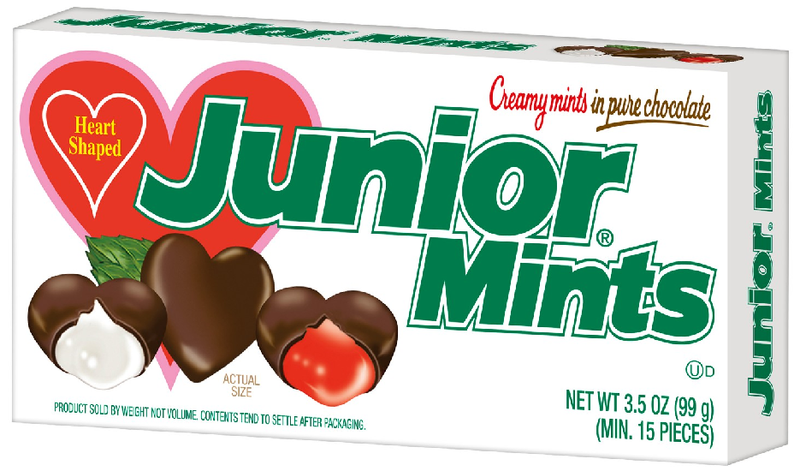 I got the junior mints at Target.com. 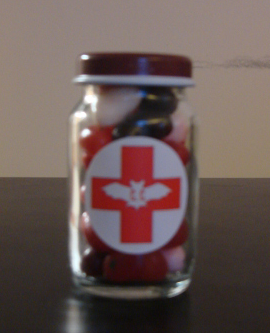 There's 24 candy heart pills, so you are closest and win the $25 Etsy gift card! I'll email it. My darling Vampentine sista. Thank YOU for making this ghoulsome event happen, and bringing it back alive from the dead! Bahaha! Seriously tho...THANK YOUUU! 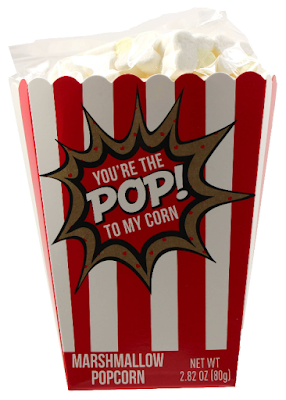 I ♥ you so much! My pleasure! I ♥ you more! Lovely post as usual, Holly! Here's my post for the soiree. Sorry it's late! It's ok. I'm sure your post will be worth the wait. I'll read it soon. Eeeeeep! Even though I came here first, I've just realized that I didn't post a comment. D'oh!